Costs – Learn more about the local costs in Tampa, Florida for tree removal, maintenance and stump removal. FAQs – The sabal palm is the state tree for Florida and very popular in Tampa. There are many other trees that thrive in the area, but there are certain diseases and rules tree owners need to know about before planting any other trees. Services – Find an arborist today to help maintain and plant new trees in Tampa. How Much Do Tree Services Cost in Tampa? Many people in Tampa choose to do their own yard maintenance. Professionals, however, should be used for dangerous or complicated projects. The following tasks are generally performed by tree trimming or yard experts throughout the Tampa area. Tree removal in Tampa will be priced based on the size of the tree as well as any additional equipment that may be needed to help haul it away. Typically, a tree removal service will charge between $75 and $125 per hour per worker. This generally translates to about $750 to $1,500 per removal. It is best to get a flat-rate estimate from a reputable tree removal company lest the service be sloppy or cost overruns become too much. The cost of stump removal in Tampa is generally based on the size of the stump and what work needs to be done. The cheaper option is to have a stump ground down using a stump grinder. This costs between $60 and $120. If you need to have the whole stump removed, roots and all, this will cost a little bit more. This can range from $150 to $300 depending on the size of the stump and your particular yard. For a person who needs tree trimming, pruning or other tree maintenance, the cost will be based on the size of the tree, any power lines that may be overhead and any additional machinery that may be needed to help haul away the branches and other debris. Depending on what exactly you need, tree trimming can cost between $300 and $750, possibly more for very large trees. Located on the shores of a beautiful bay, Tampa is the second largest city in Florida. With 2.9 million people in its metro area, it’s a city well known for its sandy beaches and wonderful climate. If you plan on caring for trees in Tampa, use the following guide to learn about some of the common trees you can expect to see as well as general maintenance tips. 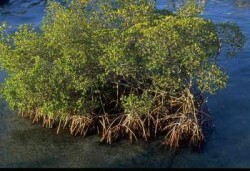 If you are removing a cypress or mangrove tree, a permit is required no matter the size of the tree. For any other tree, a permit is required if the trunk is five inches in diameter or larger. The best time for tree removal is right before hurricane season, which runs from August to October. Therefore, have tree removal done in June or July. This way, the trees will be as clean as possible should Tampa get hit with a tropical storm. Right after a hurricane, professional service may be required to remove any trees that have been damaged by the high winds and rains. The city of Tampa itself does not have restrictions about planting trees near power lines, but local communities and neighborhoods do. Be sure to consult with a qualified landscaper familiar with local rules before planting trees which may interfere with power lines. There is a handy guide which can give you an overview of the types of trees to plant and the types to avoid in order to keep trees clear of power lines. The sabal palm is the official state tree of Florida. These trees, ubiquitous throughout the entire state, can grow up to 65 feet tall. The tree produces yellowish-white flowers and can withstand temperatures as low as 7 degrees Fahrenheit. With their 65-foot height, the tallest trees found in Tampa are sabal palm trees. The shortest trees are citrus trees, which are essentially large shrubs. They tend to be around 10 feet tall, sometimes shorter. If you are planting trees in Tampa, make sure that they can withstand the salty air, the heat and the humidity that Tampa can bring. If not, you will have to grow them in greenhouses or other climate-controlled environments. Tampa is a great place to grow any warm-weather fruits. Some of the most common fruits to grow are oranges, limes and avocadoes. With proper upkeep, these trees can thrive in the warm Tampa area. With these trees, not only is the fruit delicious, they generally need little pruning or care other than routine maintenance which will keep the tree free of pests and insects. Two difficult trees to maintain in Tampa are the birch tree and the sweet orange tree. The birch tree requires proper fertilizing, mulching and watering in order to grow and thrive. Sweet orange trees need proper soil pH in order to stay healthy. They also require plenty of sun and can attract pests which cause damage to the tree. There are two common fungi that can cause devastation for tree owners. These are Fusarium oxysporum and Texas phoenix palm decline. If your trees look unhealthy or otherwise begin exhibiting signs of these fungal diseases, contact a tree professional immediately who can diagnose and treat these problems. It is imperative to catch these diseases early to ensure that the fungus does not spread to other trees.